Left side of Company B/326th AEB. 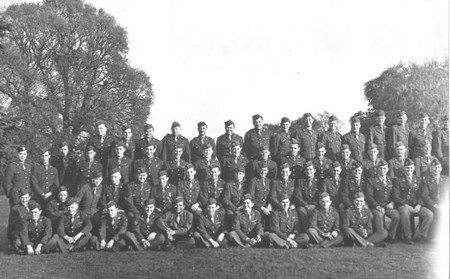 The last four men on the right in the second row are the officers. All four of these men would be killed in action.